Is the 60D a successor to the 50D or big brother to the Canon 550D? 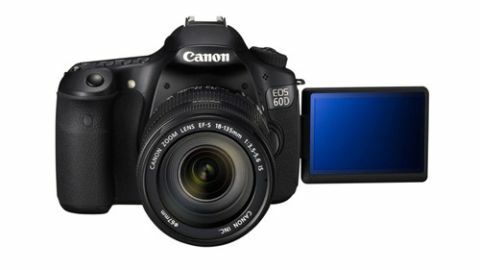 It's only natural to view the Canon 60D as a replacement for the semi-pro EOS 50D. As well as following on in typical numerical sequence, Canon also pronounced the EOS 50D obsolete at the same time as launching the new camera. Indeed, the Canon 50D was certainly showing its age, being outclassed even in many respects even by the more novice-friendly EOS 550D, including sensor resolution and the ability to shoot movie clips. Sure enough, the Canon 60D boasts a host of new goodies including an 18MP sensor, 1080p HD movie capture with a choice of frame rates and Canon's new iFCL metering system. And while the 3:2 aspect ratio LCD has the same 1,040k pixel resolution as on the Canon 550D, this time it comes with full pivoting facilities - a first for any Canon D-SLR. On top of that, you get an extra stop in the standard sensitivity range, compared with the 50D, offering an upper limit of ISO 6400 (ISO 12800 in expanded mode). In other ways, the Canon 60D inherits quite a lot from its 50D predecessor. You get the same 9-point autofocus system and DIGIC 4 image processor, making it look a bit of a poor relation compared with the Canon 7D, which has a more generous 19-point AF system and dual DIGIC 4 processors. And while the 7D is something of a speed freak, offering continuous shooting at up to 8fps (frames per second), the Canon 60D is slower even than the EOS 50D, dropping from 6.3fps to 5.3fps. Another crucial change in the 60D's design is that, whereas the 50D had a magnesium alloy body that was as tough as old boots, in keeping with its semi-pro aspirations, the 60D has a plastic shell. Couple this with the switch to SecureDigital rather than CompactFlash memory, and the Canon 60D starts to look more like an up-market consumer camera than a semi-pro contender.